Will I be the only person on this planet not watching Germany v Argentina? And who to back? I have no internet at The Greek Hovel. And I am damned if I will drive back there in the dark from the local taverna along the long and winding road. And so I must miss the Germany vs Argentina World Cup Final. Shucks. Do I care who wins? No. I’d like both teams to lose. 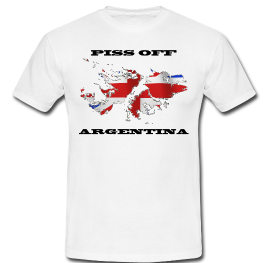 The Argies are a conceited and dirty side and have not worked out that the Falklands are not called the Malvinas. As for the Krauts? They are also arrogant. There is the little matter of two contests at their National Sport during the last Century and a German win will undoubtedly see the Evil Empire claiming that “The World Cup has been won by the EU”. So I’d like both sides to lose. Accepting that this cannot happen, I conclude that the Argies really are dirty cheats. And our contest with them at the National Sport of Germany was more recent than our bouts with the Hun. And so thinking of the Falklands if I care at all I rather hope that the Krauts scrape a win.